Can you hear that? The music is so beautiful! Christmas time really is brought more merry by the sounds of festive music ringing out through the snow. But wait! That music is coming from Christmas' beloved seasonal figures, Snowmen. 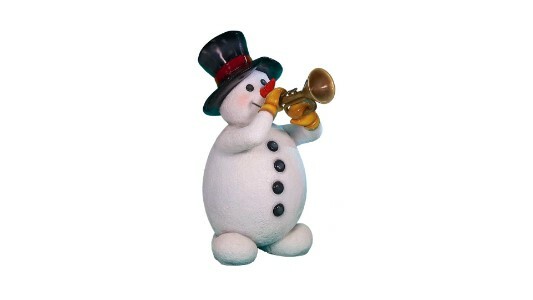 Powerful bursts of lively tune are erupted from this snowman's trumpet. His vibrant colors and custom design make him a stunning addition to any Christmas or winter theme!